We live in an era where virtually everything is going digital. In the past, you needed an enormous carrying case for your music CDs, but now you can pack thousands of songs in a tiny hard disk. However, one startup decided to do the reverse: turn a digital product into a physical one. VPNs have always been a digital product, but Keezel router has made it a physical device. And it actually looks like an improvement to the digital option. Let’s dig deep into it and see what it has to offer. An Amsterdam-based company emerged on IndieGogo with the offer to turn VPNs from a digital product into a physical device. 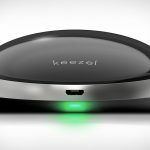 The product, Keezel, is an easy-to-use, portable device securing internet connections on any device. It encrypts your connection, protecting all your online data from hackers. The product also features ad blocking and anti-phishing filters. This reduces the potential for malware and ransomware attacks. For this innovation, the company won the Startup NRC Cyber Security Award. On first glance, you see an oval gadget with a sleek design. At one end, it has a USB micro port, plus a LED. The other end features a USB A port. Turn it upside down, and you’ll find a power button. However, the real ‘magic’ lies inside. It’s powered by a dual-core ARM processor, with two wireless controllers. One controller connects your device over Wi-Fi, using WPA2 for security (AES 256-bit encryption). That effectively encrypts all your data passing through the network. It’s much like your own personal secure network. However, don’t confuse it with a typical hotspot. It’s not creating a personal network for you. Instead, it encrypts existing, unsecured Wi-Fi. According to Keezel, the three VPN services have access to approximately 1,250 servers, in more than 160 countries. That makes the device a sort-of VPN router. Being a physical device, it needs a battery. It does have a non-removable 8,000 mAH battery that lasts as long as 10 hours with Wi-Fi use. That’s not overkill since you can charge your phone with it. Besides, for extended use, you can use it while connected to your power outlet. Its success shows that it certainly solves real problems, which couldn’t be fulfilled by other existing software-only VPN options. So, let’s find out what such problems are. What Unique Problems Does Keezel Router Solve? Keezel is made for that alluring, yet dangerous open Wi-Fi at bars, airports and cafes. Wherever you get an unsecured, password-free network, anyone can hack you. Even the network owner can monitor you. They can track the apps you open, and websites you visit. There may be authentication, but don’t be fooled into thinking it’s for your data security. It’s often only for billing purposes. Keezel solves this problem by encrypting your data using WPA2, making it hard for anyone to see. Even the virtual private networks (VPN) corporations have relied on for online privacy aren’t the best solutions. Especially so when remote employees use public Wi-Fi networks. With such networks, you’re required to accept terms and conditions before the connection is established. That leaves you exposed to vulnerabilities before the VPN is set up. The fact that many VPN solutions are software based presents a weak point. They don’t protect on a network level. Such problems are what led to the production of Keezel. Besides, it offers multiple benefits beyond its original purpose. Many popular VPN services existed before Keezel, but they didn’t work quite like this gadget. 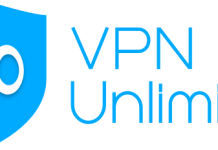 With a traditional VPN, you search around for the best VPN, sign up, pay up, and then pick your server/ geo. When you buy Keezel, you simply turn it on and connect to its Wi-Fi. The nifty gadget has already done all the hard work for you, in selecting the best VPN service and server/ geo. It makes the process super easy: no need to log into the VPN service every time you get online. With the Keez you just connect. Although you’ll be using an existing internet connection, you won’t log into that connection. Instead, you’ll log into the Keezel device. This provides one extra layer of security. An unsecured hotspot can get hijacked by rogue hotspots. Therefore, you’d rather not log into the internet connection. This is an incredibly useful feature. You often use devices like AppleTV, Chromecast and Sonos. However, you can’t install VPN software on such devices. Simply by connecting such devices through Keezel, they’ll have VPN protection. The 8,000 mAH battery lasts as long as 10 hours in use. That’s long enough to get back home for a recharge. During that time, you can recharge your phone twice. And if you want continuous use, you can simply keep the micro USB charging port connected to your power outlet. The best security solution for businesses isn’t more complex protocols, but simple solutions that actually work. The simpler it is, the easier it is for employees to adopt consistently. Keezel offers the perfect combination of simplicity and effective online protection. That makes it ideal for securing employee’s remote connections, especially when using personal devices. You can literally build your own encrypted tunnel using two Keezels. That’s a super-secure, point to point VPN. Accessing content that’s limited to your home country while away from home. You would literally be accessing the content from your Keezel at home. Accessing the internet from a country where most of the internet is restricted. In such a case, it would be impossible to get internet access through a local IP address. The Keezel works around this to get you online. With the advent of IoT, you need robust cybersecurity measures. 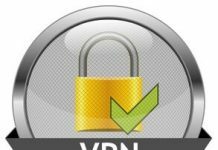 This is important for connected home appliances which may not accommodate VPNs on their own. With a Keezel, you ensure all your devices always have a secure connection. And if you combine that with the end-to-end Keezel connection, you would have your own secure, private tunnel to manage your home appliances even when far away. You’ll find Keezel particularly useful if you’re using Wi-Fi that has a limit of connections to one device or per voucher. Keezel hides the bunch of laptops, phones and tablets you have, and acts as the single device connection. What Challenges Does Keezel Have? Just like any other innovative product, Keezel isn’t perfect. Although it’s something you can grasp in your hand, its 8,000 mAH battery makes it quite big. That’s a challenge for a portable device. However, considering that it also serves as your phone’s power backup, it reduces the number of devices you need to carry around. You’ll have to charge the huge battery early in advance since it can take up to 7 hours charging if completely drained. However, considering that we’ve always found time to charge our phones, that shouldn’t be too much to ask. Network speeds can slow down slightly when connecting through Keezel. That’s usually expected when using any VPN. Understanding the benefits and challenges is one thing, but what determines whether people use it or not is: do people really need such a device? Do People Really Need Keezel? Keezel fits in comfortably in the cybersecurity space. Therefore, people’s need for cybersecurity can show whether it’s something people actually want. 13 to 35-year-olds are the most proactive age group in taking security measures for their online privacy. That’s a group that’s most likely to use Keezel for home and public use. More companies are investing in cybersecurity. In 2017, the average annualized cost of cyber security was $11.7M. That’s a 22.7% increase in cost from the past year. In fact, corporate security is forecast to cost $96.3 billion in 2018. Unfortunately, corporate spending tends to be misdirected towards inefficient and ineffective security capabilities. Hence, a gadget like Keezel, which is a more efficient and effective VPN solution, could certainly win over many businesses. With the right price, it will likely have many more potential buyers. Keezel’s pricing seems designed to accommodate different types of users. 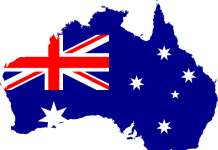 Ranging from someone interested in just a small bit of security to people extremely keen about online privacy. A Premium Lifelong subscription gives you a one-off lifelong subscription at $499. That’s certainly a more convenient option than paying monthly subscriptions all your life. With this, you get 1 Keezel device that protects 5+ connected gadgets. It accommodates HD streaming speeds and global VPN locations. The 2-Years ($289) and 1-Year ($229) Premium packages have similar features as the lifelong subscription but limited to 2 years and 1 year respectively. Just like the rest, Basic subscription protects 5+ devices but lacks global VPN locations. The network speed also can’t accommodate HD streaming. Ultimately, what will make you pay for the Keezel is your appreciation of what makes it uniquely valuable. What Makes Keezel so Special? You can never be too careful in the online world. 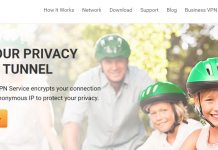 Keezel takes your anonymity further than simply having a VPN. As a go-between user and the VPN service, it creates greater anonymity for users, unlike using the VPN service directly. What’s more, this added layer of anonymity comes with even more convenience. On the user side, Keezel doesn’t see or record users’ data. On the VPN side, Keezel only identifies users with anonymous tokens, reshuffling them weekly. Moreover, the VPN providers Keezel uses don’t keep logs while offering quality service. Just in case, you’ve been wondering… yes, it supports wired connections too. Simply plug in a USB-to-Ethernet adapter to the USB port. You can even connect your 4G dongle. Keezel gives you easy connection to password-protected networks. Just tell it to use the Wi-Fi login and password to make the connection. It also supports connections to ‘hidden’ networks. Keezel will temporarily relay a ‘login-screen’ in a new browser tab, especially for hotel networks. This allows you to enter your room-number and credit card details, or accept their terms. Even on tricky networks with more restrictions, Keezel uses a special setting (TCP 443), different from the default UDP protocol. 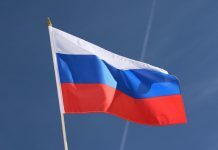 This is particularly useful for businesses which must adhere to guidelines about cybersecurity, under the EU General Data Protection Regulation (GDPR). Cyber insurance is increasingly part of organizational management. To obtain cyber insurance, companies must show how they protect customers and staff, respond to exposure and identify threats. Keezel fits in as part of the overall security strategy in protecting customers’ data and staff. 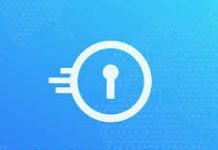 The most notable aspect of Keezel is that you’re not downloading software like an online VPN service. You’re simply connecting to an encrypted network. It’s much like your own physical cybersecurity assistant.